Specially designed and sharpened for cutting soft annealed tie wire used on reinforcing rods. Special, heavy, knurled jaws. Hook bend in one handle for non-slip grip. Coil spring holds jaws open. Blue plastic-dipped handles. 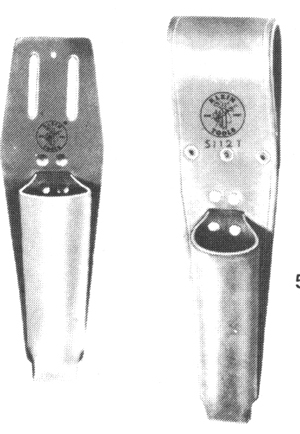 Plier nose does not protrude from these high-quality holders. 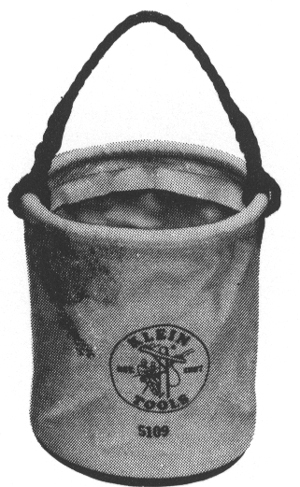 Bottom is vented to prevent collection of dirt or water. 5112 is slotted to fit belts up to 2″ wide (51 mm) or may be riveted on. No. 5112T has tunnel loop to fit belts up to 3″ wide (76 mm). Made of leather. Bag is tough No. 4 canvas with heat-resistant hard leather bottom. Height in front is 12″ (30 cm); height in back is 151/2″ (39 cm). Web loop for sliding over belt. 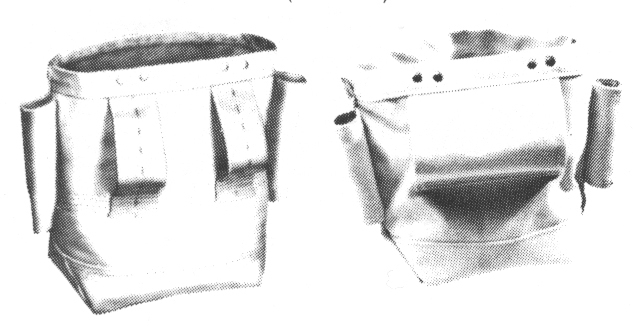 Bolt bag with bull pin loop on each side. Made of No. 4 canvas with double bottom, 3″ (76 mm) belt loops or tunnel loop. Also available in leather. 5416T Same, with tunnel loop. Leather wrench holder with cotton web tunnel loop. Has slots for two erection wrenches. Tunnel loop allows use on wider belts or to slide over D rings, buckles and other accessories. The Klein tie-wire reel feeds pre-coiled wire smoothly, easily, quickly to save time and reduce wasted wire.Handles all types of tie-wire. Smooth aluminum alloy reel with wear parts made of steel. Rugged, but light-weight. Large, comfortable rewinding knob. Nylon bushing assures smooth, trouble-free operation. 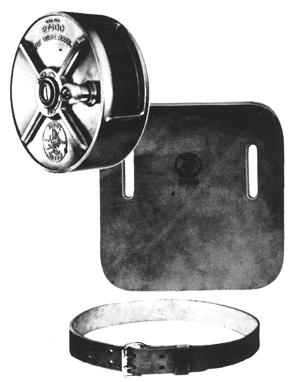 Cover plate is removed without tools for quick, convenient re-loading. Designed for left- or right-hand use. Op-tional accessory leather belt and hip pad available separately. Rugged 2″ wide (51 mm) belt of heavy strap leather for use with the Klein tie-wire reel. 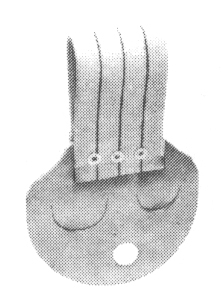 Strong double-tongue buckle Size adjusts from 37″ to 44″ (91 cm to 112 cm). Other sizes also available.